Midland artists are displaying their works at a free exhibition at Dudley Canal and Tunnel Trust's visitor centre, the Portal. The Trust's first open exhibition, which runs until September 18, 2017, celebrates the creativity of locals who have used a number of different media and styles in their works. Subjects range from drawings inspired by the limestone caverns and historical engravings to studies of wildlife, canal scenes, portraiture, landscapes and architecture. The vast range of media includes pencil, chalks, watercolours, oils, acrylics, hand printed vinyl cuts, knitting and crochet, felt and embroidery and hand quilting. For several of the entrants, this is their first time exhibiting. 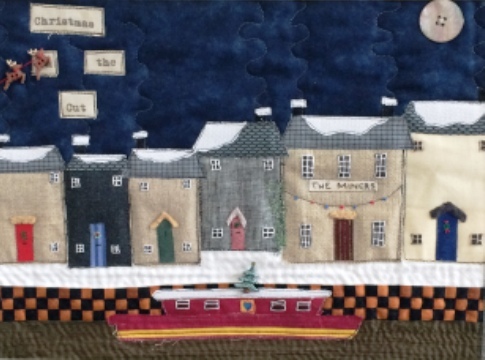 Linda Thornton's textile art work, Christmas on the Cut, is inspired by her childhood in Oldbury in the 1950s when she loved to walk along the canals with her grandfather. "I've always been fascinated with the fact that people could make a home and live on a canal boat," she says, adding that she enjoys seeing canal boats decorated with flowers in summer time, yet cosy in winter when they are topped off with a Christmas tree. 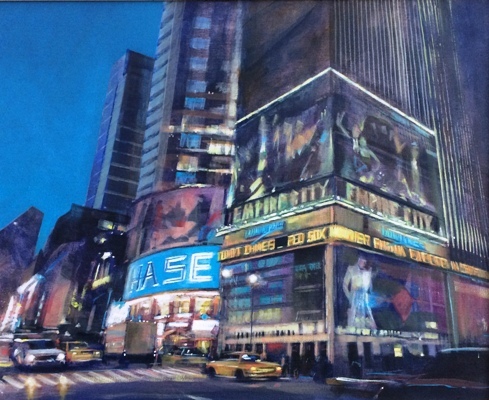 There are artworks that draw inspiration from further afield, such as Adrian Clamp's A Modern Metropolis. After visiting America, Adrian began to manipulate images to portray a constantly changing city. Holly Wain, Heritage Activities Assistant at Dudley Canal and Tunnel Trust, says: "We're amazed by the entries to our open exhibition. 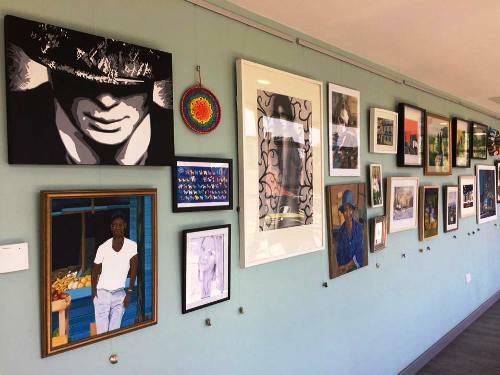 We have such a brilliant range of works which really do celebrate the creative talents of our local community. We hope that visitors come to support this exhibition and enjoy the fantastic display."